THIS IS TOO EXCITING TO NOT POST IN ALL CAPS SO BEAR WITH ME A MOMENT. MY NEW BEST FRIENDS IN THE WHOLE ENTIRE WORLD, COMCAST SPORTSNET, JUST SENT OVER THIS VIDEO OF OUTTAKES FROM A RECENT PHILLIES SHOOT. IN IT, ROY HALLADAY SAYS, "SO CUTTERED." 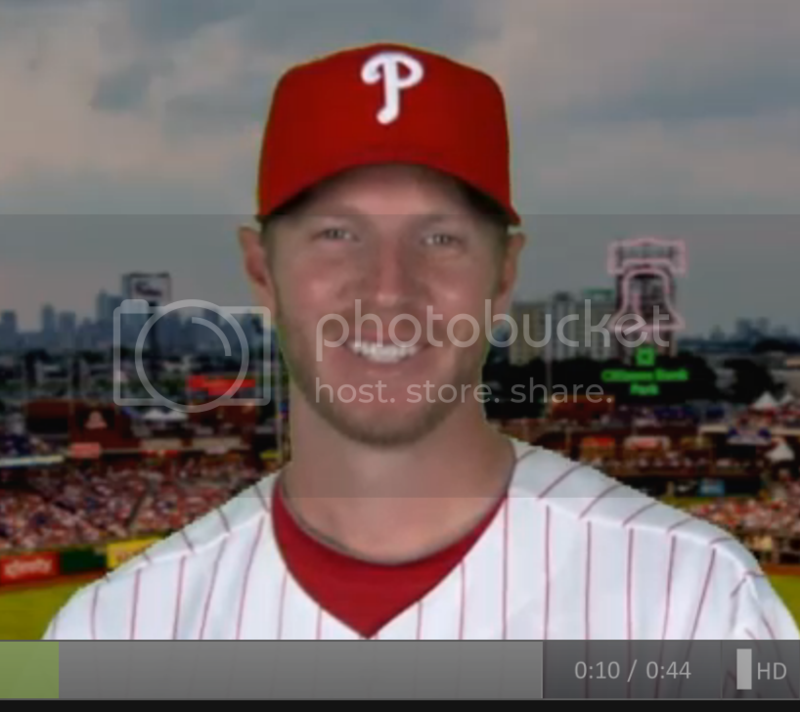 TO RECAP: ROY HALLADAY JUST SAID "SO CUTTERED" IN A VIDEO ON MY BOLG, ABOUT WANTING TO GO TO THE ZOO WITH ROY HALLADAY. I just died. Then watched it again. Then died again. I actually screamed out loud. Congrats ZWR! "What website is this from?" Also, call me, Kevin Frandsen. I am so happy for you, ZWR, I almost peed my pants!